Apple's in-store training programme has been expanded today in stores around the world. What does this mean for professional creatives and what does it reveal about Apple's plans on branding itself as more than a hardware company? 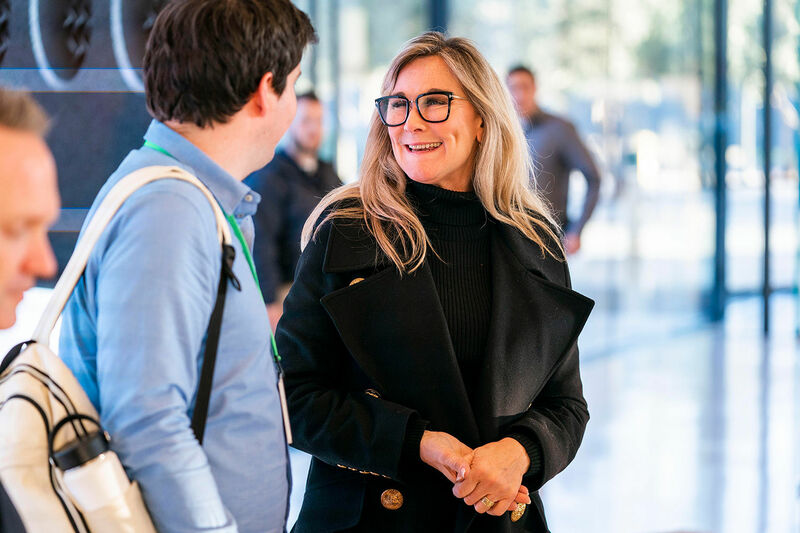 Out of the many announcements that came out of Apple's keynote event last year, one non-product related tidbit came from senior vice president of retail Angela Ahrendts, who told the Brooklyn audience that she was looking to position Apple stores as 'Town Squares' for 2019. More than just shops, these would be places where people can congregate, learn and see top art talent in action. Springing from that pivot is the extension of Apple's ongoing Today at Apple sessions, as revealed to Digital Arts on a visit to try out the new sessions at Apple Park in Cupertino, the base of Apple's headquarters and a visitor centre with its own Apple store. 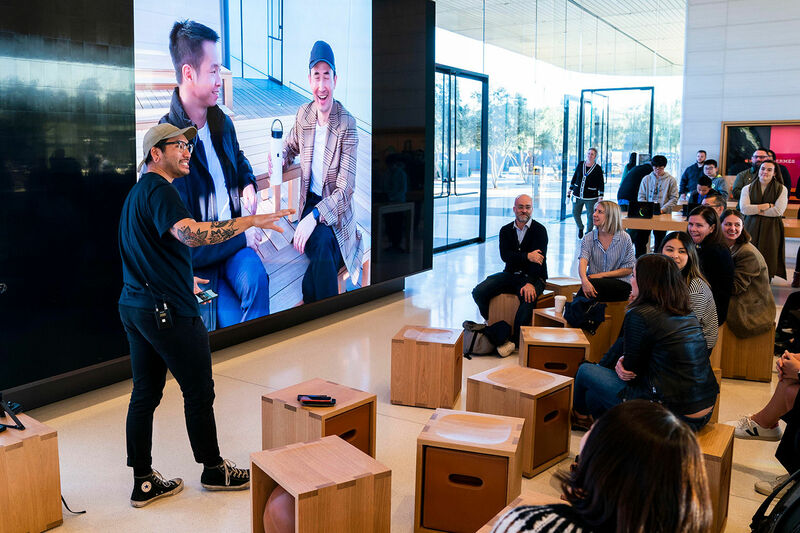 Today at Apple began in 2017, giving customers a chance to learn what they can do with their Apple products with in-store demos from staff and creatives. Such sessions have been great at introducing new names in the illustration and art scene like Rachel Joy Price - who we caught giving a lettering session at Apple Regent Street over Christmas - along with more established names like poster artist Doaly, who'll be giving a live art demonstration this week at Apple Covent Garden. 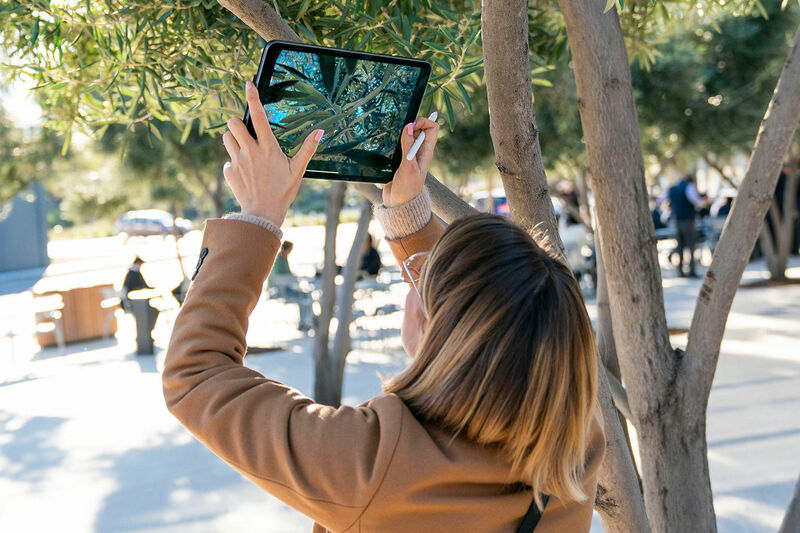 These events come highly recommended for beginners looking to create art for the first time on their iPads; despite the new expansion, professional creatives and enthusiasts reading this should probably look elsewhere to brush up their skills though e.g. our tutorials section for illustrator-led guides on expanding your repertoire. "Think of what we're doing as an updated software release"
In Cupertino's tree-dotted ground zero of all things Apple, we had an audience with Angela and Karl Hieselman, senior director of retail for the company, regarding all the big changes to Today at Apple. "The whole genesis of Today came from our store team of almost 70,000 members around the world, who we crowdsourced about two years ago," Angela explains as we sit in a cosy part of the Apple Park building. "They are so familiar with our products, and we've always told them their job was to humanise technology. We asked them a very simple question - 'What do you think Apple should be doing more in your community?' They came back with all this feedback, and I talked it over with Karl about our next steps." "Being a creative all my life, it's kind of a dream job for me to help communities be more creative," Karl tells us, a former CEO of brand consultants Wolff Olins. While this culture of creativity isn't catered to creatives per se, it will be cultivated with the help of the creative community. "We have 3,400 creative pros organised by passion or theme - so photography, music, art, etc," Karl explains. "They go deep on each one of those, and these people are amazing. Some of them are celebrated artists, musicians; even Emmy winners." "I almost think of what we are doing right now as a new software release," Angela adds. "I always say that the architecture of our stores is our hardware. We are Apple's largest product - picture a store as its largest product, and iPhone as its smallest. So the architecture is the hardware, and think of what we're doing as an updated software release of the in-store experience." Since the launch of this 'software,' there have been over 18,000 Today at Apple sessions a week attended by millions of participants around the world. 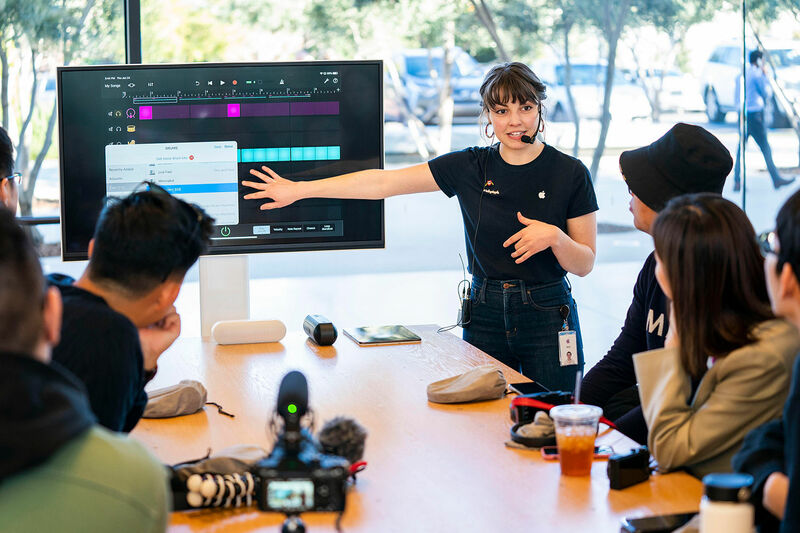 The update from Angela and team sees sessions in the new and expanded formats of Skills, Walks and Labs which offer free hands-on group sessions in every Apple store worldwide. Apple is also upgrading existing stores with design elements to help increase Today at Apple sessions and capacity. These upgrades include the addition of The Forum, an area of the store with a large video wall and seating, serving as a meeting place for the local community and home for Today at Apple. Some stores will add Avenues and, where possible, a grove of trees with integrated seating, bringing Angela's town square vision further to life for 2019. Chatting with her, we also learn there's more behind the coining of this term. "We actually took the word 'store' out of the equation because when people search us they don't search for that word; they search for 'Apple Regent Street' or 'Apple Union Square,'" she reveals. "Everybody knows about the Genius Bar," she continues, discussing the tech support station found in every Apple branch. "I mean, 40 million people go to the Genius Bar every single year. And that's not selling, that's service, and our retail stores are really where the majority all of that takes place." We finish the chat with Karl revealing one his proudest achievements with Today at Apple, a tale of creativity as spun from the retail experience. "There was this woman, Sarah, who came into our Florence store and took some sessions on drawing," he starts. "She bought an iPad because she loves to draw, but she's a new mum. She wants to draw at night because it's the only time she can do it, and she ended up taking several sessions with us. From that, she was inspired to create her own children's book called The Little Darkness and we love that story. "She went from attending sessions to becoming local talent, to sharing her story in store, and that's just so awesome," he concludes. Beginners can become professionals, then; after all everyone starts somewhere - and who knows, creative professionals reading this may end up heading their own Today at Apple session somewhere in the world soon.